Man child or not, the tick is awesome! 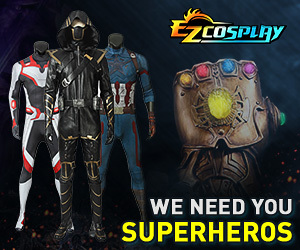 Are you planning on doing the full costume or just the mask? I'm not familiar with the "eat method" , but I would just make a balaclava style head piece from a fabric with stretch. The tick has quite a prominent jaw so you might be able to keep the beard, and maybe just shape it a little. To be honest, silicon/musclesuit is a very complex, time and money-consuming method which I don't personally feel will add all that much to the character compared with doing it in a stretch fabric. Your beard should be okay? The picture that you posted is broken so we cannot see it but just know that if you choose to keep your beard and make a mold of your face, the mold is gonna pick up the texture in every way, shape, and form so if that bothers you, you may want to consider trimming it just a little. [URL="http://www.instructables.com/id/How-To-Cast-a-Face-in-Plaster/step10/Demold/"]Here is an example of a cast made on a face with facial hair[/URL], in case you want to see what you be dealing with! Would it not be possible to seal off your beard if it worried you? Like smush it down and cover it in plastic wrap or something and then make the mold. Especially with The Tick you could even end up wearing a prosthetic chin anyway which would end up covering it. I was thinking of something like that, but I was not sure what material to use. In FaceOff, the whole thing is silicon looks real, but it is heavy. And then foam is lighter, but it needs a lot to make it work (painting, blending edges, etc.). I would think foam, just because you need to be wearing it all day for the Con. And even if you aren't wearing it the whole time, you probably want to be as comfortable as possible. However, I have never tried to do any prosthetics yet. Is there a thread for that? I assume so, but I am new to navigating the site. [QUOTE=MariaCon;5051195]I was thinking of something like that, but I was not sure what material to use. Since the big part of the chin is mostly covered with the bottom of the cowl I think foam would be smarter to work with, as it could be easier and like you said lighter, though it may get hot. You won't have to worry about the seam to the skin as much if there's already an obvious "seam" from the cowl itself. Also there's not really a dedicated prosthetics forum as it doesn't come up too often beyond elf ears. I'd try just the general construction or prop forums or makeup when it comes time to work on blending.